Mahamaya Steel Industries Ltd, Arcotech Ltd, Brooks Laboratories Ltd and Jaiprakash Power Ventures Ltd are among the other gainers in the BSE's 'B' group today, 07 May 2018. 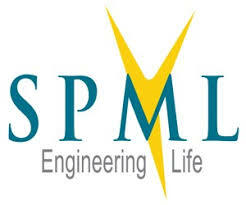 SPML Infra Ltd spiked 20.00% to Rs 117.6 at 12:06 IST. The stock was the biggest gainer in the BSE's 'B' group. On the BSE, 2.24 lakh shares were traded on the counter so far as against the average daily volumes of 9054 shares in the past one month. Mahamaya Steel Industries Ltd surged 19.93% to Rs 72.5. The stock was the second biggest gainer in 'B' group. On the BSE, 6370 shares were traded on the counter so far as against the average daily volumes of 1670 shares in the past one month. Arcotech Ltd soared 17.28% to Rs 28.85. The stock was the third biggest gainer in 'B' group. On the BSE, 2.26 lakh shares were traded on the counter so far as against the average daily volumes of 1.1 lakh shares in the past one month.  Brooks Laboratories Ltd added 15.92% to Rs 101.6. The stock was the fourth biggest gainer in 'B' group. On the BSE, 40949 shares were traded on the counter so far as against the average daily volumes of 32357 shares in the past one month.